Newspaper price change advice | A blog about smart POS software for independent small businesses. Tower Systems has published new advice today in its knowledge base for handling the latest round of newspaper price changes. This advice has been peer-reviewed and is available now. The next two months will present us with many challenges and opportunities as our customers load and engage with 2.6. For many in the company you will face new experiences as this is the biggest update ever in the history of the Retailer product. There will be people who blame things on the update that have nothing to do with the update. Many will not read the instructions prior to loading the update. Plenty will be happy with what’s in the u0date and some will want more changes urgently. Others will say their systems are slower as a result. Some will realise that they need to upgrade their hardware. Please actively listen to what people have to say, make sure they know you are listening to them – even if what they are saying has been said to you many times before by others. People calling about the update is what we are here for. We promise them we are not your average software company. We promise to listen to them and serve their needs. This is where your contact, each contact, is vital. While Ben owns 2.6, it is on all of us to serve our customers as they install, learn and start to use 2.6. Their experience will depend on each of us. What they think about Tower Systems for the future will depend on each of us. Thank you in advance for your commitment through what will be a busy and challenging time. We are committed to providing an enjoyable experience for our customers. This email and the considerable training of our team which preceded it is further evidence of that commitment. 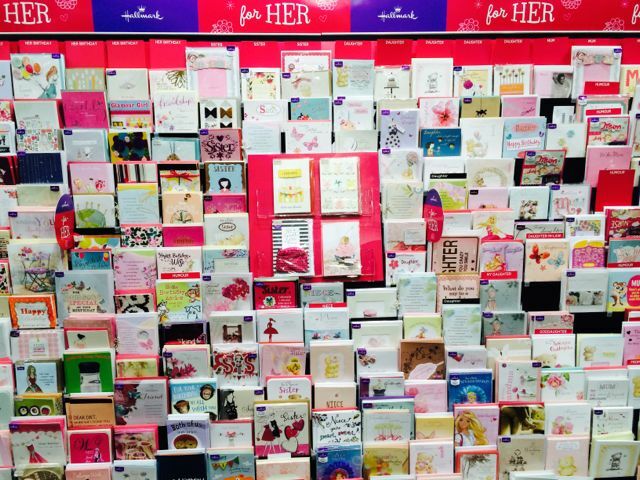 More and more greeting card retailers are using the smart reporting in the Tower Systems POS software for reporting on card sales down to a granular level. 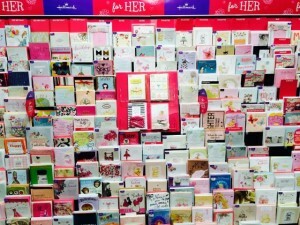 Developed with renowned card experts and engaged retailers, the exclusive reporting in the Tower Systems software enables greeting card retailers like newsagents and card and gift retailers to report on card sales more immediately and valuably than is often available from the greeting card company. This reporting has been enhanced following field use to make it more valuable to retailers when they are working with their card suppliers. This report is another example of what sets our software apart and why our retailers love what they can achieve with it. The latest Bike Shop Software released by Australian POS software company Tower Systems delivers enhancements bike retailers will like including a completely fresh approach to receipts – enabling bike retailers to customise receipts beyond what has been traditional for POS software. These enhancements coupled with Lay-By developments, extended marketing tools and a raft of bike specific changes make this software a game change for bike retailers. Bike shops competing with online need a solutions developed specifically for the high street retail situation. That;s what this latest Tower Systems Bike Shop Software is all about. The latest adult shop software released by Australian POS software company Tower Systems delivers enhancements developed specifically for Australian adult shop retailers. 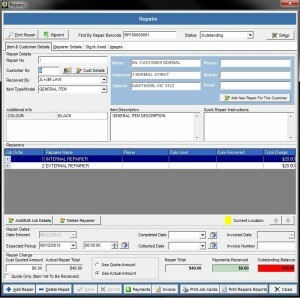 More unique requirements of adult shop business owners are met in this latest software – and in doing this the software provides greater peace of mind and delivers more value to the business. The latest adult shop software update is available to all users of the Tower Systems adult shop software. Pet Shop Software experts Tower Systems will be showing off new Pet Shop Software at the Pet Expo in Sydney in two weeks. In addition to showing off our latest software including supplier links, loyalty facilities and other facilities, we will be participating in an education session where attendees will get to hear more about our software from a presentation stage at the event. We will have our sales counter and shop floor solutions on show. Plus we will have experts on hand to answer questions and show off the latest facilities pet retailers are using to improve their businesses using our Pet Shop Software. 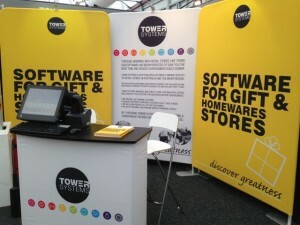 Tower Systems is thrilled with feedback from retailers who have started using the new version of its POS software. With more than 300 enhancements, this new release is the most significant software update in ten years. It delivers to the close to 3,000 small business retailers who partner with Tower valuable new tools which many will use to grow their business. While customers are enjoying getting to know their new software, the Tower team is well advanced on the next release. The repairs management facilities in the Tower Systems bike shop software are an excellent example of the value of software personalised to a specific retail channel. Developed by Tower Systems in consultation with bike retailers, the repairs management facilities are part of a suite of facilities developed specifically for bike retailers to enable them to provide specialised services that set them apart from online businesses – and thereby more effectively compete. This screen shot shows one of the screens used by bike shop staff to track repairs and provide certainty of service. Tracking in-house and externally undertaken repairs enables a bike shop to track in one place the details important to the repair, the customer and the business itself. The Tower Systems bike shop software is widely used throughout Australian and New Zealand. 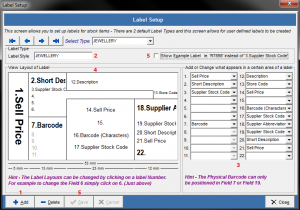 Jewellers love that they have control over the design and layout of jeweller product price and barcode labels using the Tower Systems jeweller software. 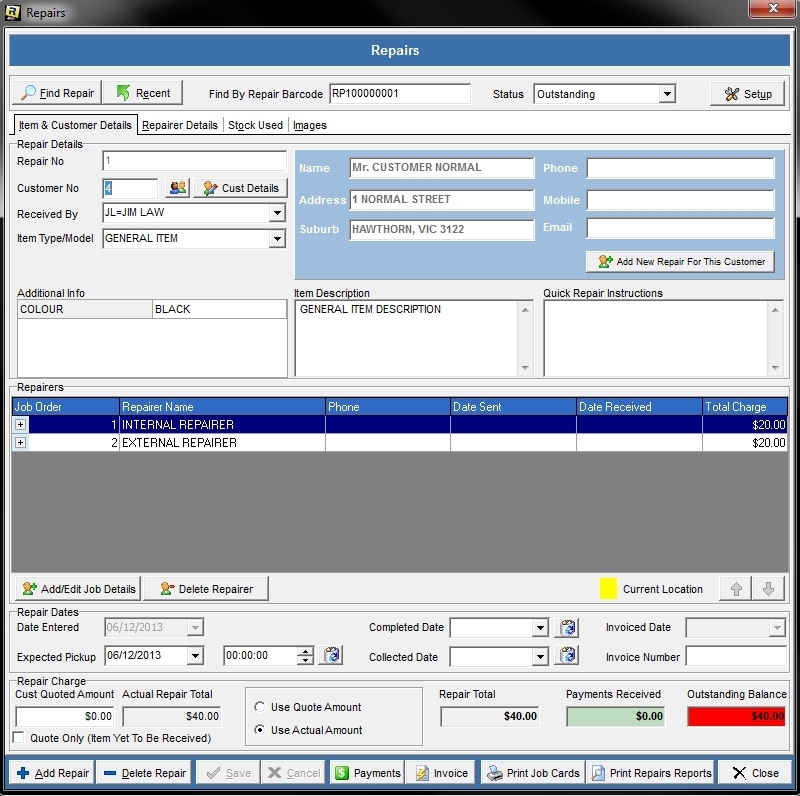 Using a setup screen in the specialist jeweller software, jewellers are able to make their labels unique to their business. They can include on the label the information important to them – to enable their employees to drive sales on the shop floor based on the data on the labels. The flexibility in the Tower Systems jeweller software is another feature loved by users. It is also another part of the software which has benefited from feedback by users. With more retailers using our Discount Voucher facilities we have a broader pool from which to draw inspiration for further enhancements. This image shows another version of a Discount Voucher – on an A5 receipt. This is attractive-looking Discount Voucher is produced at the bottom of a receipt printed on a laser printer connected to our software. retailers selling higher end items like to produce a receipt that is different to the usual cash register roll type. The A5 receipt is more professional and of a higher print quality. This laser printed Discount Voucher has a quality to its look that makes it appear more valuable than if printed on a thermal printer at the bottom of a receipt. While often used in jewellery, garden centre and homewares businesses, more and more other retailers are choosing A5 receipts to lift the quality of their offering and thereby set themselves apart from other retail businesses. Our live demonstrations of our POS software running on the latest Microsoft Surface device has been a hit at the Reed Sydney Gift Fair these past four days. Demonstrating a portable shop-floor / warehouse solution without the usual POS software counter type hardware shows another flexibility we support, another way we help retailers to better engage with their customers and their business through our software. This latest generation Microsoft Surface is especially useful in the retail environment – as we have shown at the Gift Fair. Retailers using the POS software from Tower Systems have many options for for reinforcing the value of shopping in the business – like including a personalised note on the receipt showing the saving achieved with this purchase. 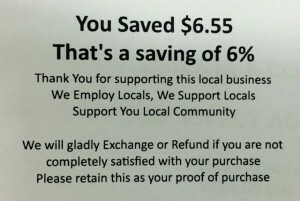 The image shows one such saving note on a receipt produced by the software. 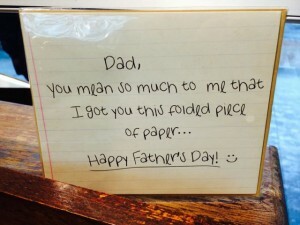 The note is produced as a result of rules setup by the retailer using the software. 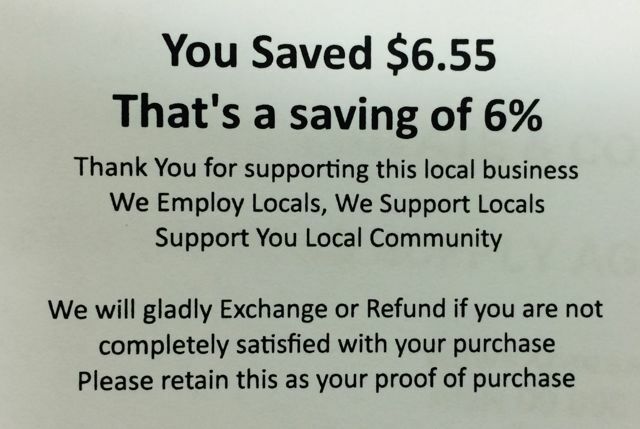 The You Saved $6.55 message is strong. It’s reinforced by That’s a saving of 6%. this messaging pitches the retail business after the sale is down, when the shopper is home and unpacking their purchases. This is another way Tower Systems is helping small and independent retailers to compete with major retailers. Twenty newsagents have switched from other newsagency software to the newsagency software from Tower Systems so far this year. This includes 12 businesses that have switched from POS Solutions. More newsagents have contracted to switch and will make the move in the next few weeks. As the newsagency channel evolves, Tower Systems has evolved its newsagency software to provide flexibility for those keen to explore other areas of their businesses. Serving close to 1,900 newsagents, Tower Systems has around 65% of all newsagents with newsagency software as its customers. Don’t sweat the small stuff was a mantra pitch by business ‘gurus’ for years. The reality for small and independent retailers is that sweating the small stuff can be good for business. Getting sales counter processes right can save time. Getting all stock movement tracked can cut theft. Getting your POS software integrated with your accounting software can cut mistakes. Tracking sales by employee can help you better encourage success from employees. Good POS software can help you sweat the small stuff and help you improve the performance and value of your retail business. This is what Tower Systems offers retailers – smart POS software through which you can sweat the small stuff and benefit. Tower Systems is all ready for the Reed Sydney Gift Fair which kicks off today. Our new gift shop software has been released in time for us to show off to the many thousands of attendees expected through the fair over the next four days. features on show over the next four days include our mobile POS solution, our pop up shop solution, our game-changing discount vouchers as well as a completely fresh and business-growing approach to shopper receipts. We continue to help retailers at the core of their business with valuable innovation. We’re excited to catch up with many existing customers as well as to make new friends. While we can’t be sure until the fair opens this morning, it looks like we will be the only specialist software company there. We are grateful for that opportunity. 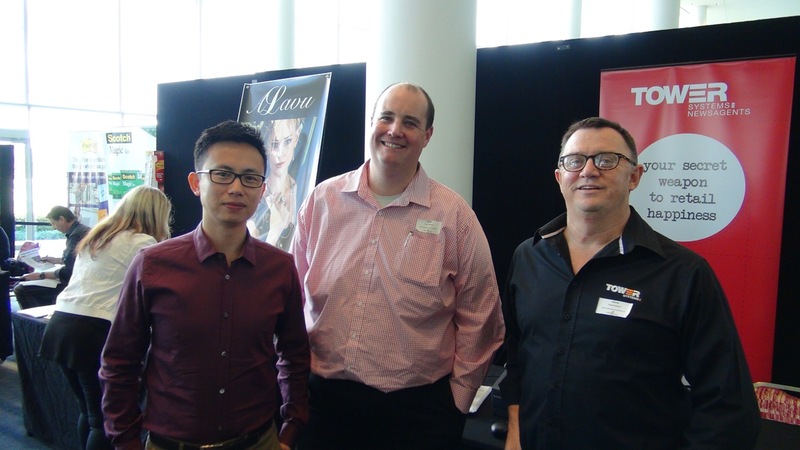 Around eight years ago Tower Systems was the first software company in the newsagency marketplace to offer Chinese language support – help desk support for customers who prefer to speak in Mandarin or Cantonese. Tower still offers this service today and customers love it. Just about every day we have one or more customer thrilled to have support provided in Cantonese or Mandarin. Indeed offering this service is one reason our newsagency software customer base continues to grow. We get a buzz in the office hearing these calls as we know we are doing something unique in POS software help desk circles in Australia. Tower Systems is helping retailers setup pop up shops through its POS software. Pop up shops in shopping centres and other locations benefit from the easy to setup and use Tower software that is being used in a variety of retail businesses including those selling gifts, calendars, collectibles, homewares, clothing, phones, services, garden items and more. Thanks to the ability to access the software through any browser, only minimal hardware is required for these types of installations. This is vital for a successful pop up shop operation. 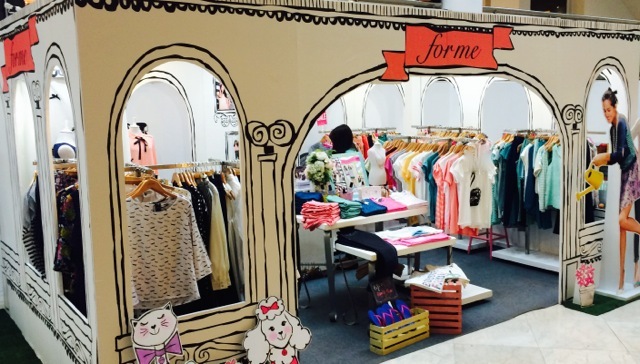 Backed by flexible licencing and useful reporting tools, the Tower software helps retailers in the pop up space to create a new store, trade and then move on with easy and low overheads. While some jeweller software companies prefer sell their software as an entree to selling on-going consulting services, Tower Systems offers its jeweller software as a ready to use jeweller business management solution – without the need to spend on consulting fees to actually get =value from the software. Thanks to excellent in-store face to face training, jewellers and their employees can use the software to report on business performance it a range of levels and through a variety of intersects. In-store training is supplemented by access to more than one hundred professional training videos as well as a comprehensive knowledge base resource with excellent advice and tips written specifically for users of the Tower jeweller software. Tower Systems believes that jewellers and their employees will make better use of the software if it is used to achieve more for them and their business. This is why the company focuses on providing better software and backing this with excellent training. This is a better outcome for Tower customers than focussing the software company on selling consulting services for the long term – as some other jeweller software companies do. Tower Systems already serves hundreds of jewellers in Australia, New Zealand, Papua New Guinea and FIJI. Apple has received extraordinary attention for its announcements last week as is always the case when the tech giant announces new models and new products. While we applaud Apple’s innovation and its ability to engage people all around the world with its technology, there are many businesses and individual innovators who receive little or no attention. Take POS software, the spare we work in. It’s not glamorous or fashionable. However, if we get it right and engage appropriately with our customers, we make small retail businesses more profitable. This coal face work with small and independent retailers is more important economically to Australia and New Zealand, the two main countries in which we trade, than Apple selling its devices and paying minimal tax. We help people into business by making it easier for them. We help people find work by providing a skill they can learn and that is transferable. What we do in our small and independent software company is economically valuable. Later this week we release a software update that takes what we do to an entirely new plane. We won;t get Apple like hype but we do hope to help our customers enjoy their businesses more and make more money from them. Tower Systems embraced another opportunity last week to help newsagents learn more about its newsagency software last week with a free clinic offering advice and support at a major newsagent conference. The experts spent most of the day offering business advice on how to use data curated by the software to drive performance. 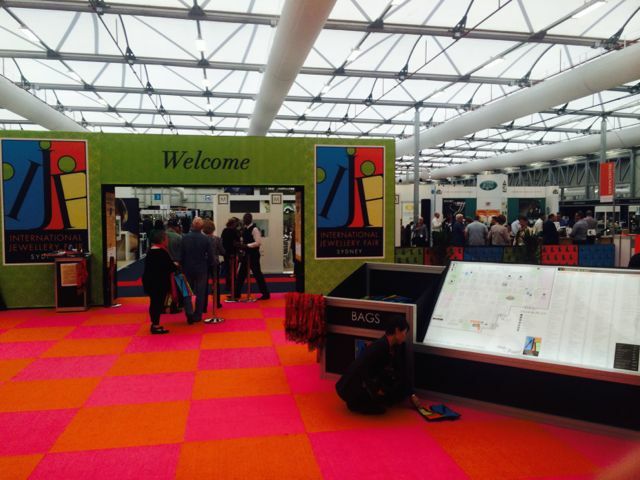 Helping newsagents with free advice and support at conferences trade shows and the like is another way Tower Systems helps newsagents get more from their technology. 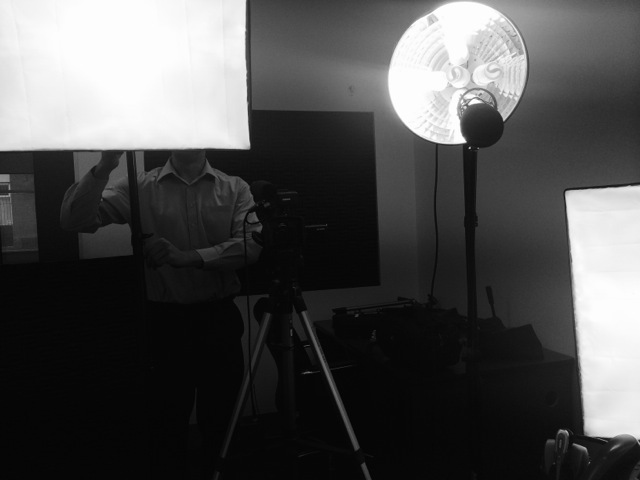 We are filming several videos to accompany the launch of our next major POS software update. These videos will help our customers learn more abut their new software and encourage them to engage with new facilities and opportunities embedded in the new software. Our video training suite is a resource our customers love and use as we can see from tracking data. The photo is from our in-house studio. Major retail seasons such as Father’s Day present retailers with an excellent opportunity to assess how the business is performing this year over previous years. The challenge can be that these days fall on different dates in different years. Using the Point of Sale software from Tower Systems retailers can easily compare floating seasons whether for a day or days or weeks leading up to a day – where the dates are different between the two years being compared. In addition to terrific comparative reports in the Tower software, we are able to help retailers understand year on year performance, to learn what they can about opportunities for future seasons. Often we find data present different facts on seasonal performance to what people working in the business thought happened. The recent JAA International Jewellery Show has helped bring more jeerers to the Tower Systems jeweller software user community. Jewellers love the ease of use of our software, that it is safe, secure and stable and that they are not locked into expensive monthly contracts. The JAA show provided an excellent opportunity to showcase the Tower points of difference over ARMS and Retail Edge. Developing our own software, having complete control over our offer, enables Tower Systems to deliver a best practice jewellery shop management solution. Packed with terrific business management reports, the Tower Systems jeweller software is already used by hundreds of jewellers to run successful businesses in city, country, shopping mall and high street situations. The JAA show has been a terrific success for us. We are grateful for the opportunity. 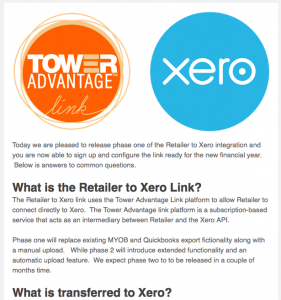 The Tower Systems POS software / Xero accounting link is being embraced by more retailers. 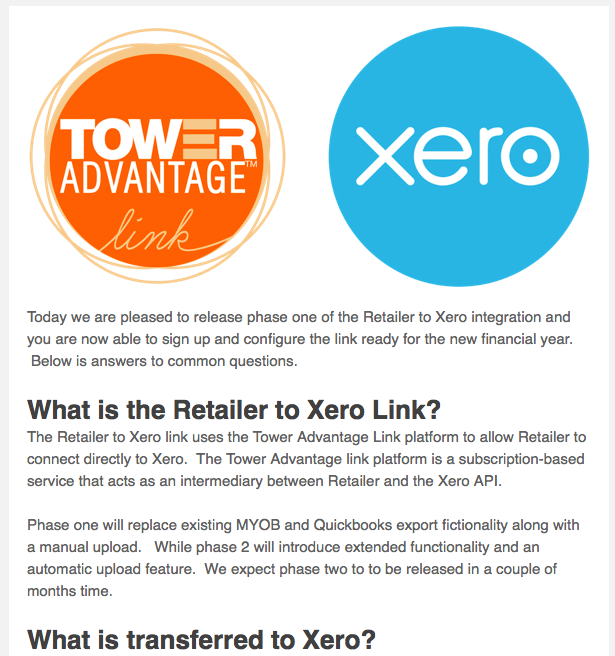 Using the Xero link in our own retail businesses and having had it vetted and approved by our own Financial Controller, we can speak from experience about the value of the Xero link to a busy independent retail business. This link cuts mistakes, eliminates workload and results in more timely and accurate accounting information. Tower backs the link with training and live support. We also back it with access to our in-house accounting experts who can provide insights from their own use of the back end. It’s our use of our software and Xero as retailers ourselves that really sets us apart. As retail evolves with bricks and mortar businesses diversifying, flexibility in POS software is more important than ever. We saw a good example of this recently when a newsagent diversified into jewellery and needed jeweller labels for their range of rings, pendants and bracelets. 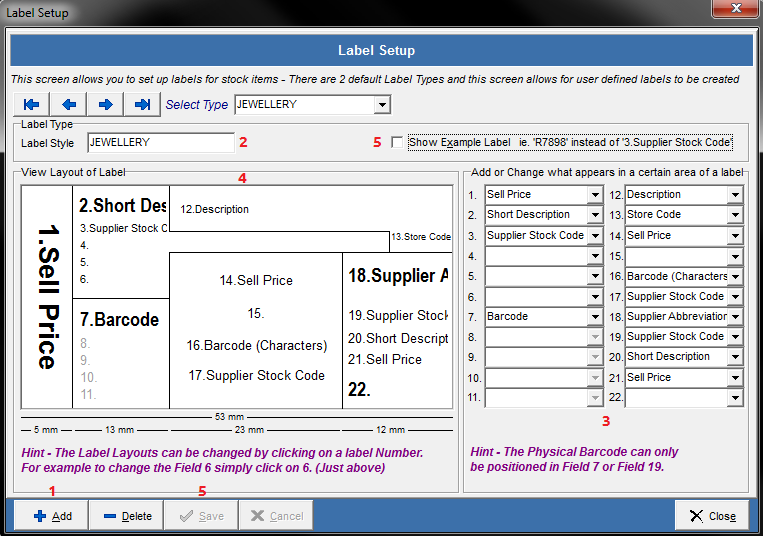 Thanks to jeweller labelling facilities in our POS software, we are able to produce a professional and flexible label with four parts that are ideal for all sorts of jewellery situations. Labelling jewellery without harming the product is important as is labelling the box for the item as well as any other part of the package such as the storage bag. Having thought through these requirements and already serving hundreds of businesses in this area enables Tower Systems to offer proven flexible solutions.